Woman: Can you please speak up? Woman: What! Do you have something to say? Woman: Mm.. what is it? Woman: Are you asking me out on a date? 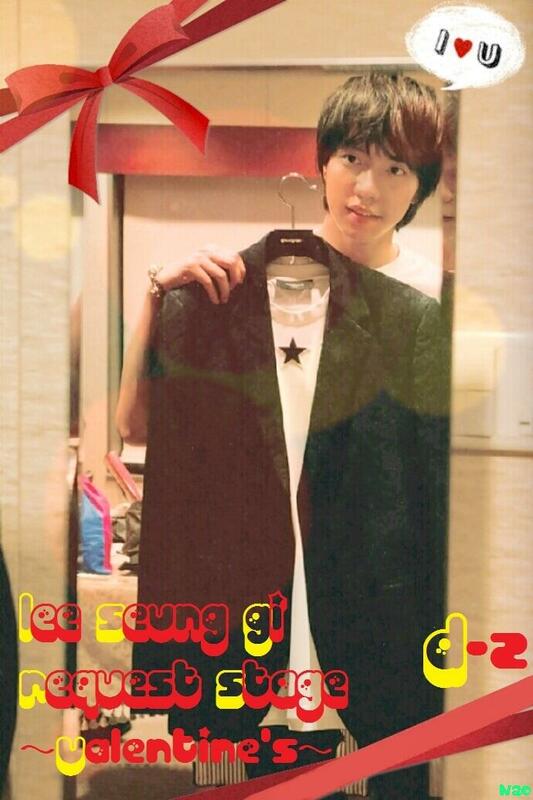 Categories: Concert, Japan, Japan concert, Japan countdown, translation, Video | Tags: Alone in Love, Love Time | Permalink. Categories: Concert, Japan, Japan concert, Japan countdown, translation, Video | Tags: Budokan, Japan, Like a Flower | Permalink. 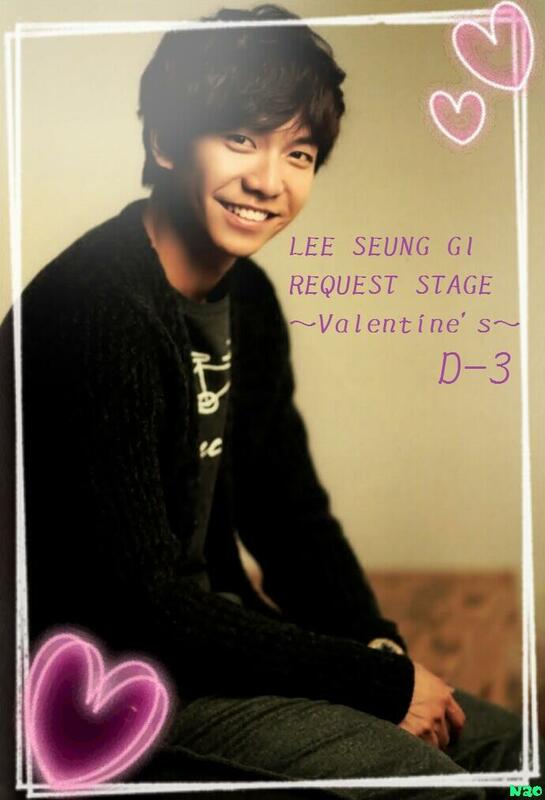 Seung Gi will be departing Korea on Friday, 2/7 headed for Tokyo, Japan for his Valentine’s Request Stage Concert on 2/8 and 2/9. 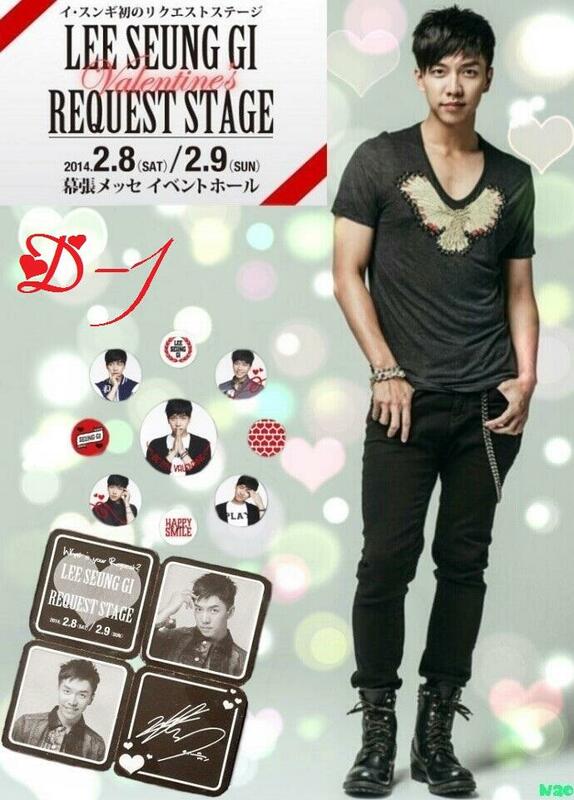 Categories: Concert, Japan, Japan concert, Japan countdown | Tags: Flight information, Japan Valentine's Request Stage | Permalink. 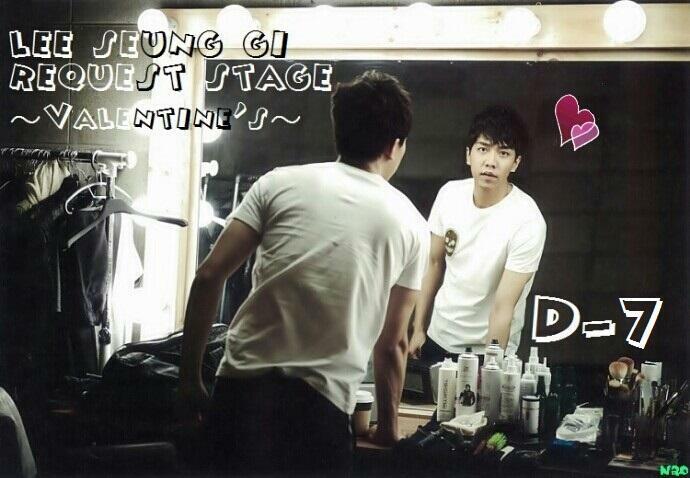 Categories: Concert, Japan, Japan concert, Japan countdown, Video | Tags: Japan, Valentine's Request Stage | Permalink. Categories: Concert, Japan, Japan concert, Japan countdown, translation, Video | Tags: I'll Give You Everything, Japan, Valentine's Stage Request | Permalink. 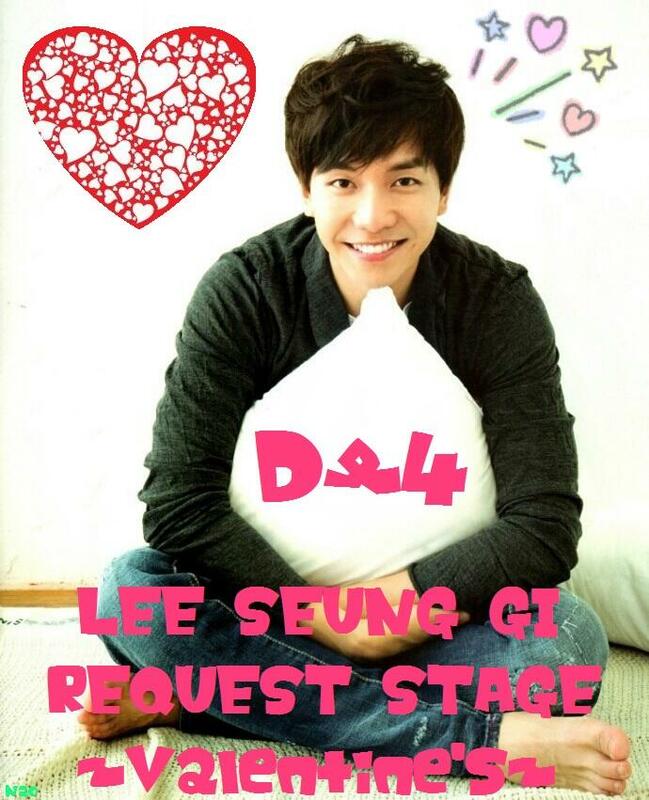 This week’s countdown until the Valentine’s Request Stage will consist of Seung Gi’s October 7, 2013 performance in Tokyo since it will be held in Japan again. Categories: 5.5 mini album Forest, Japan, Japan concert, Japan countdown, translation, Video | Tags: イ・スンギ, Japan concert, Return, Valentine's Request Stage, 戻して | Permalink. Categories: Concert, Japan, Japan concert, Japan countdown, Video | Tags: 2013 Japan Live, イ・スンギ, Because We're Friends, 友達だから | Permalink.